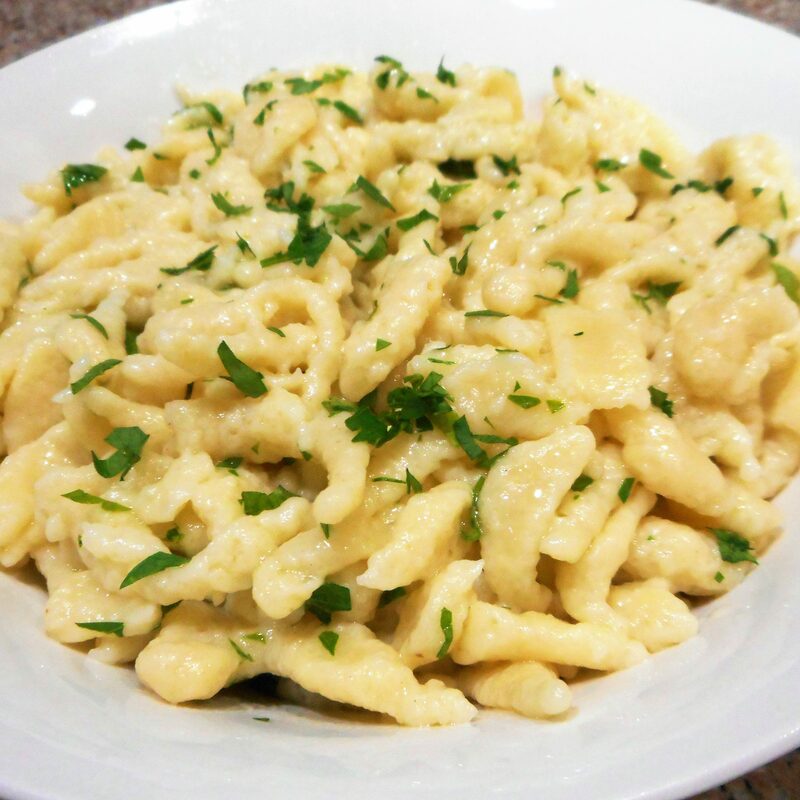 It is easiest to make spaetzle if you have a potato ricer, but it is also possible to use a colander. Just monitor how much batter you process at a time. 1. Bring a large pot of water to a strong simmer and add 2 tsp salt. 2. In a bowl, combine the flour, salt, baking powder and nutmeg, mix well. 3. In a large bowl, beat the eggs and add the milk and water. Stir in the flour mixture. 4. The spaetzle should be light, so check batter by dropping 1/2 teaspoon into the simmering water. Cook until the spaetzle floats to the top, then allow a minute more and check the noodle. If it is not light, add a couple more tablespoons of water to the batter. 5. When you are satisfied with the texture, force the remaining dough through the potato ricer into the simmering water in batches, then drain. 6. Heat a large frying pan and melt the butter. Lightly brown the Spaetzle in the butter. Top with the fresh parsley and serve.